Park and Shop here in Davao City is not really my usual Sunday grocery grind, but for some reasons the power at GMall went off at that particularly Sunday and I need to do my grocery restocking or I’ll mess up my week’s schedules again. So fast forward, I found this on the shelf. I got curious because it was the only jar with fancy cloth cover among the bottled sweets on the line. I thought it was cloth, but later I realized it wasn’t. It actually was a fossilized cacao leaf. How quaint and rustic that is, I like it! So upon minutes of reading the label, I was so convinced to try it, I carted it out. It’s sealed on the brim, at least I’m assured its safe from out of factory contaminants. As you can see, nutrition facts label is provided and its only 20 cal/serving (1 tbsp.) - just two rounds of walking around your house and it's all burned out. I actually have no idea about this product's history so I went to google it and found their website, http://healthysweets.yolasite.com/. Amazingly, they're not only producing this Guyabano Candy but their main product mover is Coconut Sugar. We've been using this kind of sugar for so long now in our beverages as it has low Glycemic Index. Knock on wood, not one in the family is diabetic but we're into this lifestyle of prevention rather than cure, hence, the usage. 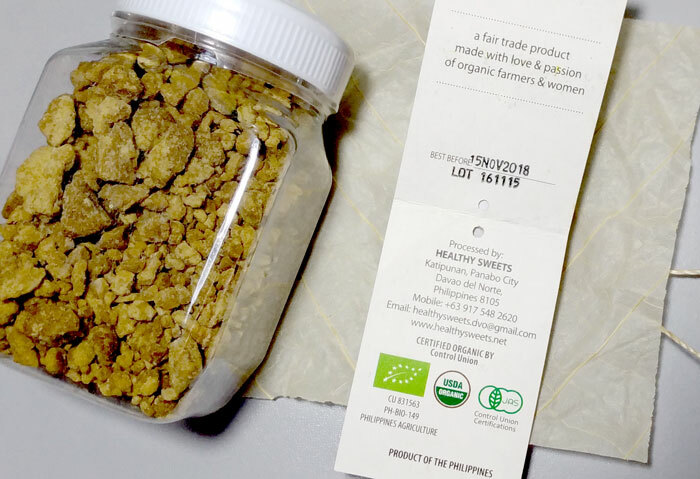 They're certified organic by three control boards, Philippine Agriculture, USDA Organic Board and has Control Union Certification. I love that the label contains the lot # and the expiry date. I just don't like the idea that the container itself have nothing on it at all.Good for me as I know what's on the jar but granting I lost the label and someone picked it up, there's nothing on the bottle to know about. I love products like this because they're not produced on the humanless assembly line. They involve the community in the production. I learned that in the case of Healthy Sweets, they're helping ameliorate and augment the income of small coconut farmers in the area where they operate buying their produce at fair trade, no middleman, no transportation cost. Something I can relate as we have farm ourselves and this is usually our agony. Healthy Sweets also employ women of the community to process products, a livelihood most needed by women in far flung barangays. Now unto the real Makoy. As you can see its earth-colored and its granulated. It may look like its hard, but its actually not. It's candy in formulation so it is sweet. The guyabano leaf notes is very prominent I can taste it. 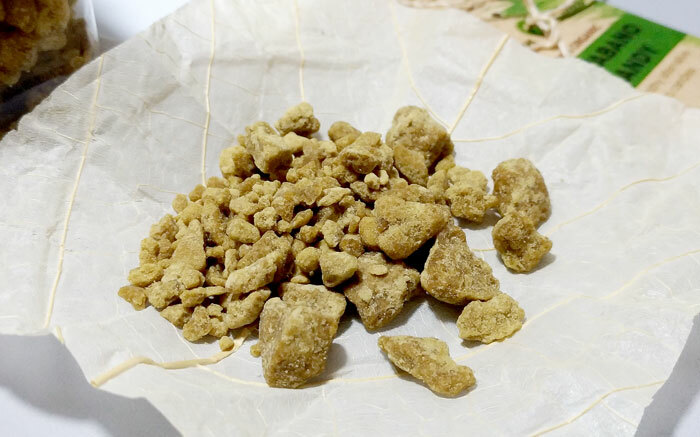 But the Guyabano per se that we know as sour and acerbic were a bit non existent on this one, maybe the leaf overpowered it, but nonetheless its a melt-in-your-mouth saccharine granules. I sometimes put it in my salabat and oatmeal and it blends perfectly to my liking. 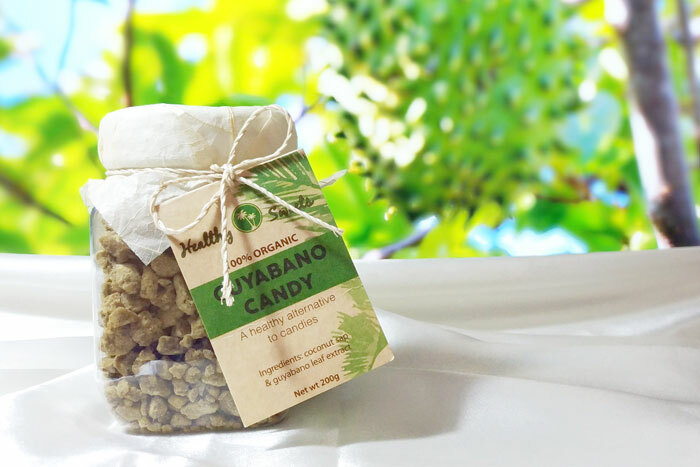 Healthy Sweets Guyabano Candy is one of my best finds lately. It's healthy, it's organic and I'm not just getting the real thing, I'm also helping other people not in the economic mainstream sustain their livelihood. This natural sweetener is produced in Davao Region, Southern Philippines. 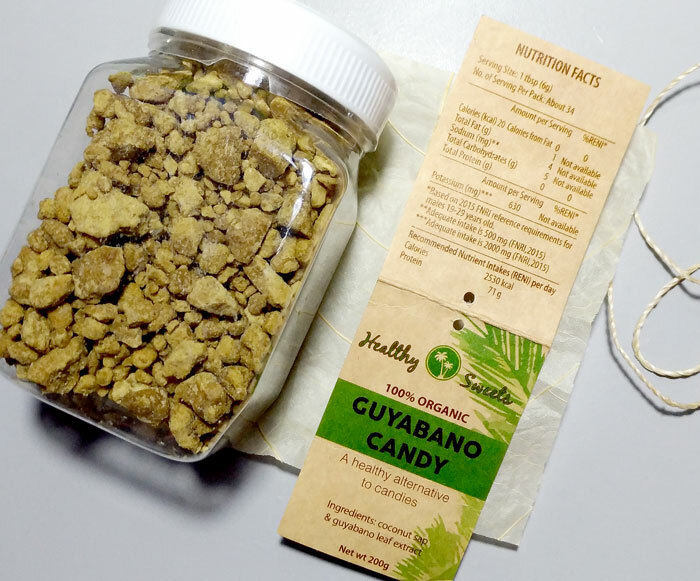 If you're a supporter of artisan products, you may visit their online store http://healthysweets.yolasite.com/online-store.php to order.